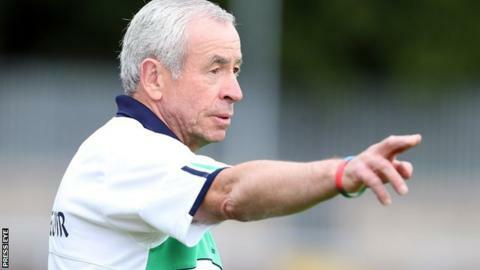 Pete McGrath will stay in charge of the Fermanagh senior footballers in 2016. The two-time All-Ireland winning manager with Down had been linked with a return to his native county after the surprise resignation of Jim McCorry. However McGrath was ratified to continue as Fermanagh manager for a third year at a county committee meeting on Monday night. McGrath led the county to a first All-Ireland quarter-final since 2004 this summer, which they lost to Dublin. A county spokesman said they were "pleased to announce" McGrath will continue in the role he took over at the end of 2013.